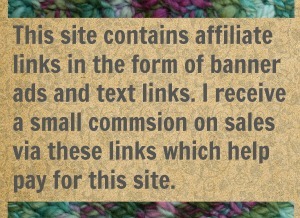 When I started blogging about my yarn-y adventures I was on a site called onemorestitch.net. I had a regular readership of about… 16. The site was administrated by a friend of a friend’s husband who wouldn’t let me have administrative access (to my own blog). The friend of a friend’s husband, who did have that access, had blocked the site from google’s search engine so no one could find me unless they had a direct link. Any readers who did find my site (probably by sheer accident) couldn’t leave a comment unless they had a password. There was no way to sign up for that password. All in all I was darn lucky to have my 16 regular readers. I left that site (and that web administrator) behind and started rovingcrafters. Now I have more that 16 readers but I still feel darn lucky and darn grateful for everyone who comes to read my ramblings. Without you all I’d just be over here talking to myself. My inaugural post on that beginner, baby-blog was “Never, Ever and You Can’t Make Me”. It was all about this amazingly talented German lace knitting designer called Herbert Niebling and how I will never make any of his stuff. Ever. And you can’t make me. 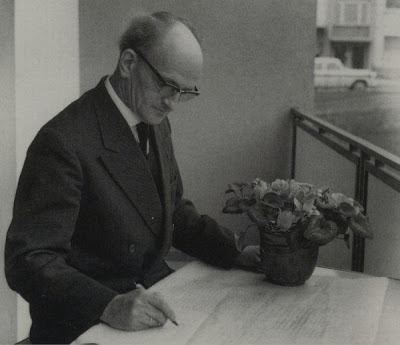 For all the other 7 billion (minus 16) people on this planet who did not read that very first post of mine, here is the gist of it: Herbert Niebling designed some of the most beautiful knitted lace in the history of knitting and I will never make any of it. Why? Let me answer that question with a picture of his most popular design. Stunning isn’t it? That’s Lyra. It was first published in 1939 in German. Its been republished lots of times since then and in different languages. Its a favorite among the Herbert Niebling fans (and oh yes, he has fans). Lyra is 2000 yards of lace weight yarn on size 000 needles. Making a Lyra is certainly a big commitment. Me? I could probably finish one off in… three years. 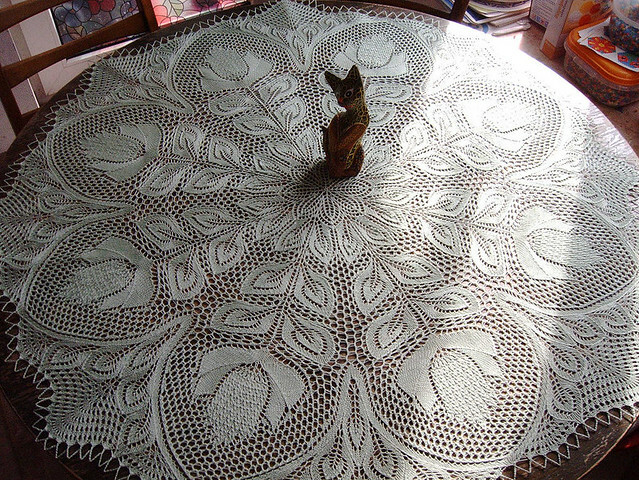 That would be three years of my knitting life to make a lace tablecloth that absolutely NO ONE would ever be allowed to eat off of. I’ve read reviews by certain snotty knitters who write on their snotty blogs that Lyra is actually quite easy, not enough of a challenge, and just a big disappointment. I applaud those knitters for their lace knitting abilities (even when they just say they finished a Lyra and don’t actually post a picture of it). I applaud their self-discipline. I even applaud not-so-healthy need to find knitting patterns so difficult no one can actually knit them. As long as it makes them happy. But I’m still not knitting a Herbert Niebling tablecloth on size 000 needles. Or spinning up my cat’s hair. Or eating brussel sprouts. Or getting a pedicure. And you can’t make me. But I have had a wonderful time blogging over that last two years. I want to say thank-you to everyone who helped make that happen. 72 Comments on "Herbert Niebling and I still aren’t on speaking terms"
LOL!!!! You sure got me laughing on this one! I agree, I would never spend the time on something like that to never be used!!! My projects are all something that are actually useful and can be whipped up in weeks and not years! I agree, his work is beautiful, but……….there are limits!!!! 🙂 Jen, thanks for all your wonderful blogs!! I look forward to each and every one of them!!!!!! Glad you enjoyed it. We all need to laugh more. I love this blog. I love your designs. And. I love that tablecloth. I do love it. Not enough to so much as find the pattern. I’m with you Jenn. Never and no one can make me. Isn’t that Lyra a beauty? Herbert was a master I don’t care what anyone says. But I still ain’t knitting one, lol. Thanks for all the support and comments. I love reading them. I should say ThankYou! The past two years of following your blog have been wonderful. I’ve learned a lot love your sense of humor and style and the patterns- don’t get me started. Love the kitties too! 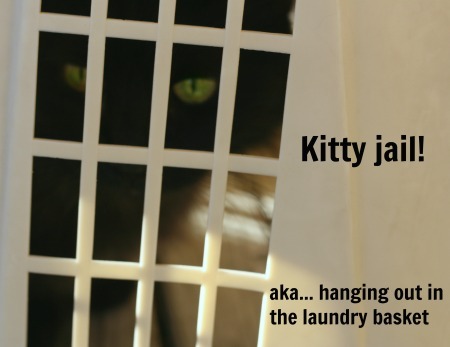 I didn’t know my big ol’ furry black cat had a doppleganger. Thanks, lol. I try to write in the same style that I teach in. I’m very happy I found an internet home of my own. I admit learning how to run the blog myself didn’t come easy and I made some mistakes along the way. But I didn’t break the internet (yet) and I have very much enjoyed making so many connections. Thanks for the support. Thanks for being a reader! I love writing for this community. I would add that the kitties enjoy their fame but that would be a lie. They don’t care. Human adoration is simply their due. And why wouldn’t we read your blog. Laughter and knitting stuff. The best! Thanks! And thanks for coming back again and again. A readership makes it all worthwhile.